The Saint Robert Bellarmine Council 10877 Knights of Columbus is pleased to announce a scholarship opportunity for parishioners, Knights, and their families. The Knights will sponsor one $500 scholarship to a graduating high school senior entering a Catholic college or university. 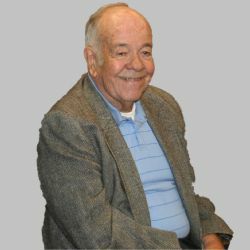 The Knights of Columbus Father Francis O’Hare Memorial Scholarship is in honour of Father Frank’s years of service to our parish and its youth and as chaplain of our Knights of Columbus council. Those students wishing to apply for the scholarship should contact Paul Monticciolo at paul.monticciolo@gmail.com. Completed applications must be returned by May 13, 2018. 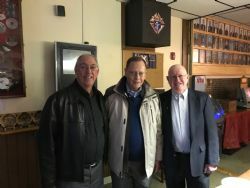 Congratulations to Dennis Goguen, Tom Cuff, and Tom O'Brien who recently earned their 2nd and 3rd degrees as Knights of Columbus. Come join the festivities, bring a dish for this pot luck extravaganza and don't forget to BYOB. There will be a Yankee Swap and we will be singing lots of Christmas carols. Several brothers sang with the Saint Robert Bellarmine choirs to bring some holiday cheer to the residents of Prescott House and Atria Mayland. Among the familiar faces were brother Ed Sidon and Bill Wolfendale's mother-in-law. Ed received several gifts including some personal items and a warm high end sweatshirt! Ed sends his greetings to all brothers. Come support this important event. Donate your time, give your blood. Join the Knights and your parish to help our community and those needing the precious gift of life. "Serve Like Jesus"
A nice turnout and great weather for our annual cookout. An exceptional menu and lots of good conversation as we move into the summer. Thanks to all who made it happen. A big thank you goes to Everett Belisle for his most generous donation of two new barbeque grills. Everett has found yet another way to serve and support our council. A small gathering at Jon Ryan's Pub with fraternity on the menu! The annual Special Needs Prom event is sponsored by the Tewksbury Council with support from surrounding councils. It was held at the Tewksbury Country Club with over 200 guests attending. Our council donated money and helped with service and clean up. A small investment with a huge reward! 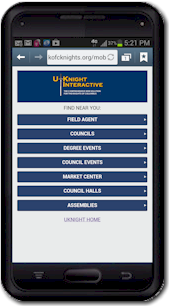 Let's meet our newest members to the Knights family. David Vidoni and Dennis Goguen made their first degrees this evening and Carl Anderson joins us as a returning Knight. "Welcome - Carl, David and Dennis"